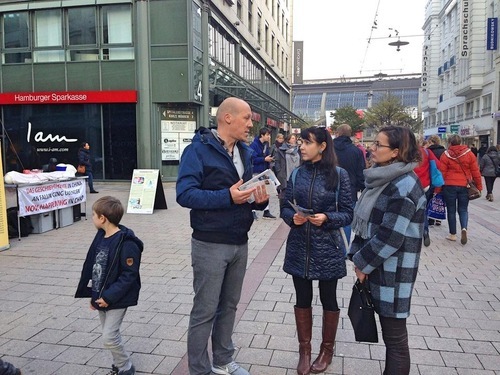 Practitioners in Hamburg, the second largest city in Germany, held an “information day” event at the city centre on November 4. 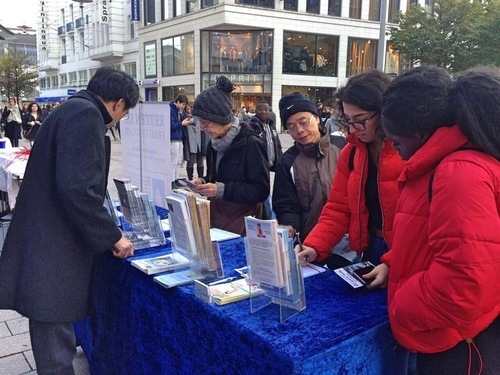 With posters and exercise demonstrations, they introduced the practice and raised awareness about the persecution in China. Alarmed by the brutality of the persecution, many people stopped for more information and signed petitions condemning the atrocities. 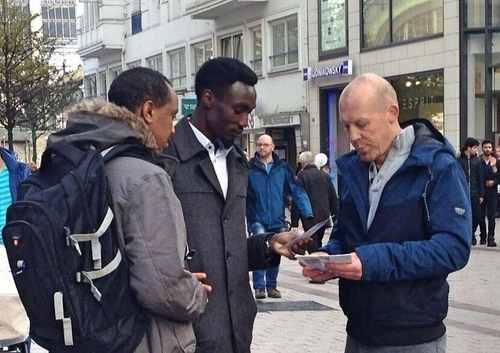 The practitioner explained to them how the Chinese communist regime tries to control people's minds and suppresses those with independent thoughts. When she went on to tell them about organ harvesting from living practitioners in China, the three women were outraged. They signed a petition and thanked the practitioner for the information. One man said he was aware of this and has been following the situation through the years. “This [persecution] is horrible. I wish I could do more to help you,” he said, as he signed a petition. A man from China came here on a business trip and he talked with practitioners for a long time. 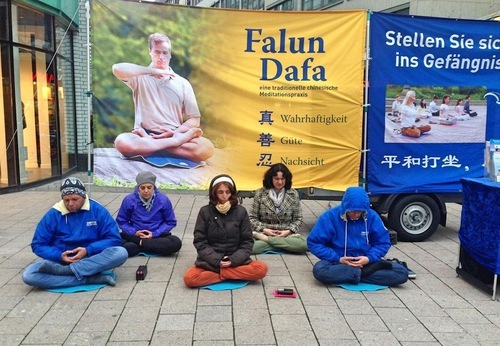 They talked about how the Chinese Communist Party has replaced traditional values with corruption and why the principles of Truthfulness-Compassion-Forbearance, the core principles of Falun Dafa, are important. The man agreed it is wrong for practitioners to be mistreated for their belief. Before leaving, she looked again at a poster that illustrated torture methods used on detained practitioners. “This is really awful,” she said as she signed a petition.